Showing results by author "Brian Hilliard"
It's easy to feel like networking is a waste of time, energy, or money - but that just means you're doing it wrong. 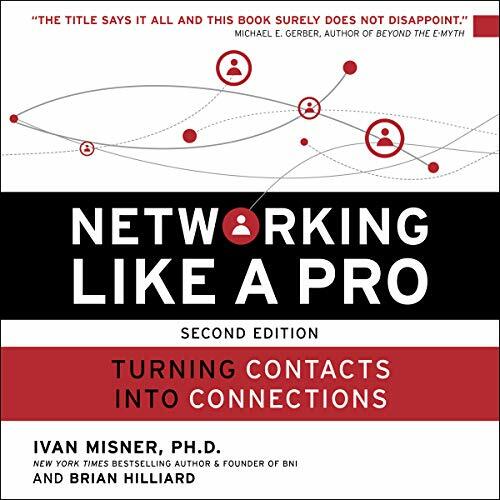 In this new edition of Networking Like a Pro, networking experts Dr. Ivan Misner and Brian Hilliard reveal key networking techniques to help you grow your business. In this comprehensive guide, you'll discover strategies that go beyond collecting business cards and turn networking into a profitable resource for your business. Dive into this book and discover how the most successful networkers leverage their brand, expertise, and customers to achieve greatness in life.